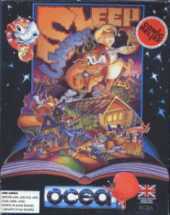 This original platformer stars a toon dog called Ralph who must stop his sleepwalking master Lee from waking up. Ralph must bridge gaps, beat up baddies, stop Lee falling into water, inflate his own body and float above obstacles, and generally be a selfless version of man's best friend. Between each of the major levels, there is a dream sequence where Ralph can collect various tokens and trigger what he "really" thinks should happen to Lee. The are six huge parallax scrolling main levels and five bonus levels. The player can monitor Lee's sleep level with a bar at the top of the screen. If the bar reaches zero, Lee wakes up and the player loses a life. If this happens three times (or five depending on settings) the game is lost. The player controls the dog in order to manipulate either Lee, or the objects he is likely to walk into, to see him safely to the end of a level. The frequency of these pitfalls increases as each level progresses and, as it does, the player has to spend more time strategically neutralising threats, far in advance of Lee's actual position in the level. Although it's possible for Lee to die, resulting in a loss of life and restart of the level for the player, the dog is invincible, surviving otherwise fatal incidents with comedic effect. If all the levels are successfully completed Lee finally returns to his bed and crawls back in. The game was made to promote the charity Comic Relief. All profits from sales of the game went to the charity.